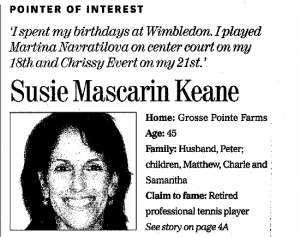 Susie Mascarin Keane's success as a platform tennis player is a natural continuation of the success she achieved during her tennis career. As a junior tennis player, Susie won numerous tournaments including five National singles championships and four National doubles championships. She was the 1980 ITF World Junior Champion following titles at the Easter Bowl, US Open, Italian Open and Orange Bowl Championships as well as receiving the Maureen Connelly Brinker Outstanding Junior Sportsmanship Award. She then turned pro at age 16, signed with International Management Group and competed on the Women’s Tennis Association (WTA) Tour for the next eight years, reaching a career high singles ranking of No. 32 in 1986. Following her retirement after shoulder surgery in 1988, she was the assistant tennis coach at UCLA while earning her undergraduate degree in Communications. 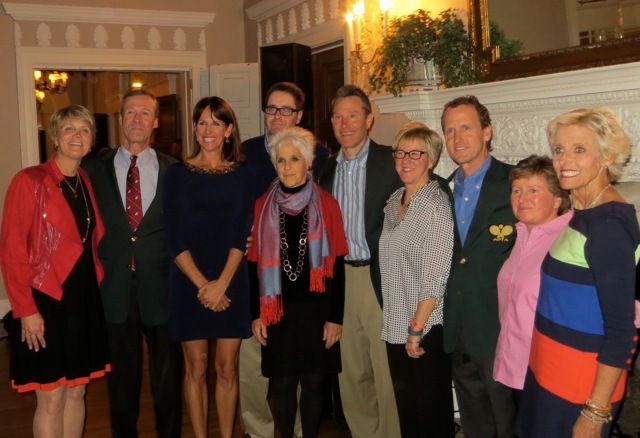 Upon her return to Grosse Pointe, she continued coaching players of all levels while raising her three children. 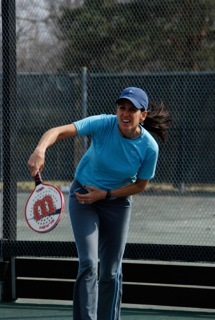 She also added three more national doubles tennis titles in the 40 and over age division. She was inducted into the tennis Hall of Fame for the USTA/Midwest Section in Indianapolis in 2009. 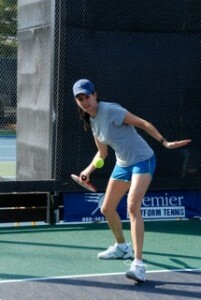 In 2002 Susie and family moved to Lake Forest, Illinois where her platform tennis roots took hold and began transferring the same mental fortitude and passion to succeed from her pro tennis days to her new found sport of platform tennis. As the 2003 APTA Nationals approached Mary Doten was lined up to play with Julia Sierks, but at the last minute Julia had a family emergency arise. The rest is history. At least, APTA history. Mary convinced Susie to fill in for Julia. Mary told Susie, “Come on. We’ll just do it for the experience.” The first time pairing of Doten-Keane, unseeded in the tournament, swept through the draw, beating seed after seed until the 2003 APTA National Women’s Doubles Championship trophy was theirs. They went on to dominate the women's nationals from 2003-2010, winning six titles in eight years: 2003, 2004, 2006, 2007, 2009, 2010. The second deserving inductee I recognize tonight was born on June 28, 1964 in Grosse Point Shores, Michigan into a family proud of their Italian and Hungarian heritage. The youngest of four children, one boy and three girls, raised to be prideful, but not boastful, Susie Macarin Keane had a strong mentor for her early athletic accomplishments in the bigger than life example set by her father, Dr. Telesforo Mascarin. To understand Susie’s drive to succeed, her dedication to excellence, and the ease with which she seems to accomplish all this, a clearer picture must be presented of her father. Born in Montreal, “Telly”, as he was affectionately called, was a self made man, nose to the grindstone kind of guy. He was bright, athletic, and a born leader. He came down from Canada to attend the University of Michigan on a full athletic scholarship for hockey. His position was right wing on a team that won three consecutive NCAA national championships between 1951-1953. He went on to medical school and became a respected obstetrics/gynecological MD. He delivered babies up until he retired from medicine at 75 years of age in 2008. Dr. Mascarin coached traveling hockey teams throughout the years, organized and built the Grosse Pointe Community Skating Rink and the Wimbledon Racquet Club. He taught life skills as they pertained to athletics. Honesty, hard work, a “never die” attitude, all were tenets to cherish if success was to be achieved. Not only did his hockey players reap the benefits of this wisdom, but it was not lost on his four children either. Susie started out very young trying to be the best she could be at whatever she was doing. To win her first professional singles title and to qualify for the US Open in tennis at only 14 years old is a good example of her love of competition, her maturity, perseverance, and solid work ethic. She excelled at tennis and was a good student at University Liggett, a private school in Grosse Pointe. During her eight year professional tennis career, she reached at least the quarterfinals in more than 20 professional singles and doubles tournaments. She competed in all 4 majors while playing against the likes of Chris Evert and Martina Navratilova and even defeated 3rd seeded Billie Jean King in the first round of the 1982 US Open. She reached a career high singles ranking of No. 32 in 1986. That same year, she played World Team Tennis for the Miami Breakers under a coach very different from her dad, Ilie Nastase. And just 5 years ago, in 2009 she was inducted into the USTA/Midwest Section tennis Hall of Fame. In the fall of ‘88 after several injuries, Susie moved to Los Angeles where she became the assistant women’s tennis coach at UCLA while at the same time earning her degree in communications. At the end of ‘88 Susie retired from professional tennis competition. Peter Keane, also from the Grosse Pointe area, her future husband, was also in L.A. at this time, conveniently. Susie and Peter married September 1, 1990. She graduated from UCLA in 1992. They moved back to Grosse Pointe, Michigan where Susie continued coaching tennis and raised three children, Matthew, now 20, Charlie, now 18, and Samantha, now 15. Both boys attend the University of Michigan like their grandpa before them. The family fatefully moved in 2002 to Lake Forest, Illinois. This is where Susie Keane’s platform tennis roots took hold. She started playing platform tennis with lots of new found friends, even played the Illinois State tournament. She enjoyed the competition and began transferring the same mental fortitude and passion to succeed from her pro tennis days to her new found sport of platform tennis. It didn’t take Susie long. The 2003 APTA Nationals was approaching. Mary Doten was lined up to play with Julia Sierks, but at the last minute Julia had a family emergency arise. 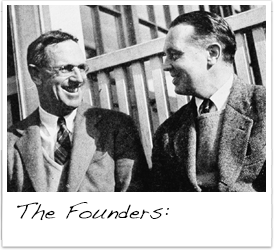 The rest is history, at least APTA history. Mary convinced Susie to fill in for Julia. Mary told Susie, “Come on. We’ll just do it for the experience.” The first time pairing of Doten-Keane, unseeded in the tournament, swept through the draw, beating seed after seed until, indeed, the 2003 APTA National Women’s Doubles Championship trophy was theirs. After Susie won her first nationals, there was no resting of her laurels. She worked even harder on her game, training, hitting repetition drills with other players and tennis pro, Ray J. Murphy at Lake Bluff Bath and Tennis Club on the North Shore of Chicago. Susie Keane is no doubt the most accomplished female professional tennis player to have ever won an APTA National Championship. All of her training in the off season paid off as Doten-Keane successfully defended their national title with a win in 2004, no less beating 8 time national champs Sue Aery and Gerri Viant in the finals. 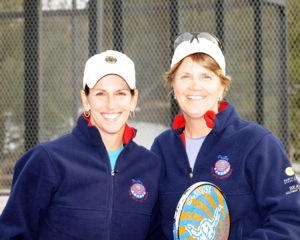 In fact from 2003-until 2010 Susie Keane and Mary Doten dominated the game of platform tennis, winning 6 APTA Women’s Doubles Championships: 2003, 2004, 2006, 2007, 2009, 2010. 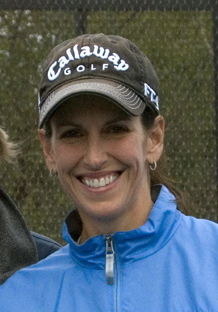 During the 2008-2009 season, Susie and Mary won every tournament they entered. After her 2010 win, Susie retired from competitive platform tennis. She and her family now live in Orlando, Florida. Guess what? Susie Keane is also a great golfer. She was just honored by winning the Arnold Palmer Cup at the Bay Hill Golf Club where she is a member. Her handicap has been as low as “4”. Whatever Susie Keane next tackles, it is safe to say, we are sure to find her right up there with the best and brightest. She is surely the definition of a “champion”. Platform tennis is better off for having Susie Keane a part of its history. And now, she is the recipient of the APTA’s highest honor, the PLATFORM TENNIS HALL OF FAME award to Susan Mascarin Keane.